The Tennessee Department of Safety (DOS) only requires you to complete a driver's education course if you have been convicted of multiple moving violations while on your intermediate restricted license. However, while it is not required in order to obtain your permit or license, Driver's Ed is a valuable resource that can help you become a responsible and safe driver. In addition to the safety benefits, the information and practice you'll get in a Tennessee driver's education course can help you pass the DOS skills test when you apply for a TN driver's license. Already have your Tennessee learner's permit. Pass the driver's license written exam. Have your parent or guardian sign your application. Prove you are currently enrolled in school. Prove your identity and TN residency. For more information about required documents, fees, and permit restrictions, see our Drivers Permits in Tennessee page. Take an online practice test to make sure you're ready for your written permit exam! Although driver's education is not usually required, if you get 2 moving violations while you on your restricted driver's license, you MUST complete Driver's Ed before you can graduate to an unrestricted TN driver's license. Driver's Ed courses are offered at TN public schools. Approved third-party driving schools, which may offer courses of different lengths and formats, including online driver's education are also available. Costs for these courses vary, so check with a local school for specific information. TN driving laws, violations, and penalties. Ways to avoid distracted driving. Driving in emergencies and hazardous conditions. The effects of alcohol on driving. Behind-the-wheel instruction is practical driving instruction in a car with dual controls. The instructor will teach you skills and techniques to use in the operation of a vehicle, building your skills and confidence as a safe driver. In Tennessee, driver's education is offered at public high schools and through third-party driving schools. Some course providers may also allow you to complete the classroom component online. If completing the course through a third-party provider, make sure they have been certified by the TN Department of Safety. 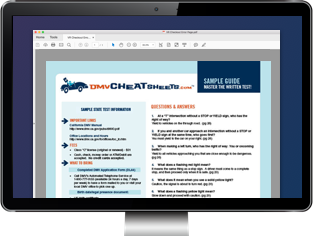 It is important not to confuse Driver's Ed with a defensive driving course, which is usually taken to reduce the length of a driver's license suspension. Taking Driver's Ed is a great way to acquire the skills you need to get your first Tennessee driver's license. Complete 50 hours of supervised behind-the-wheel experience, including 10 hours at night, verified with the Certification of 50 Hours of Behind the Wheel Driving Experience (Form SF-1256). Pass a driving test, also called a road skills test. For more information about getting your driver's license, see our page on Applying for a New License (Teen Drivers) in Tennessee. Driver's Ed will help you make the most of your supervised behind-the-wheel experience and prepare you for the DOS road skills test.